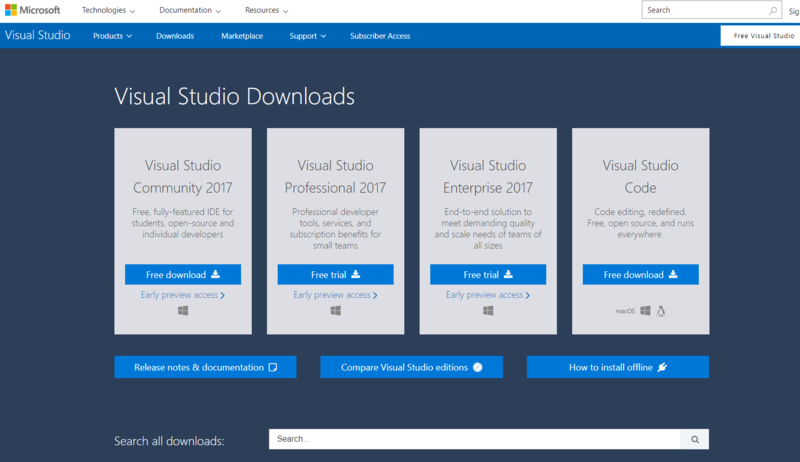 Step 1: First thing you must download Visual Studio 2017 (Community or Professional or Enterprise: For your Requirement). Here we have Workloads, Individual Components and Language Packs. 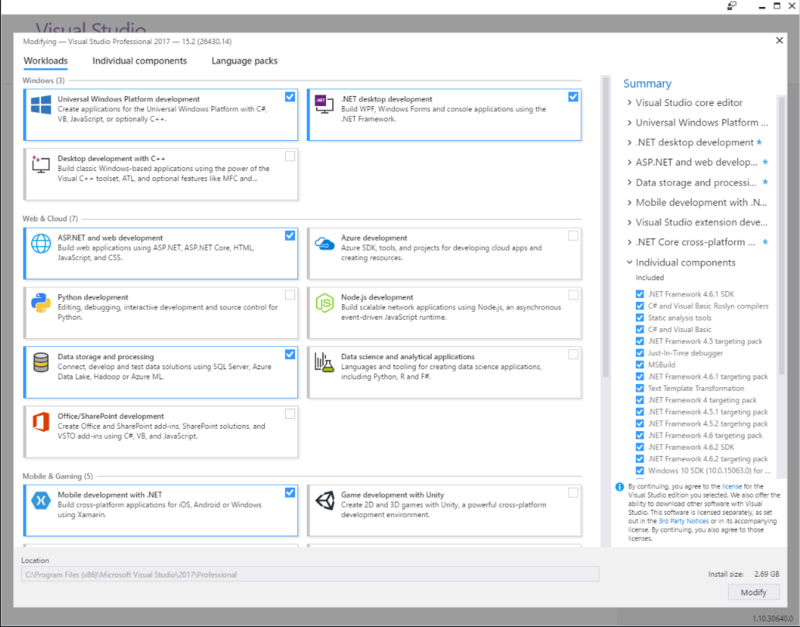 This is the Xamarin Workload for Visual Studio. You have So many Toolsets and Platform specific development workloads are there. If you want to develop UWP application just add Universal Platform Development. Some Components automatically shows Tick Mark () because it will download along with the workloads we added in before section. So Don’t unmark those . In Development Activities: Select Xamarin Only no need of C++ and c++ android, iOS etc. Emulators: Google android Emulator (Sometimes it may fail to install). You can install it later If you got error. 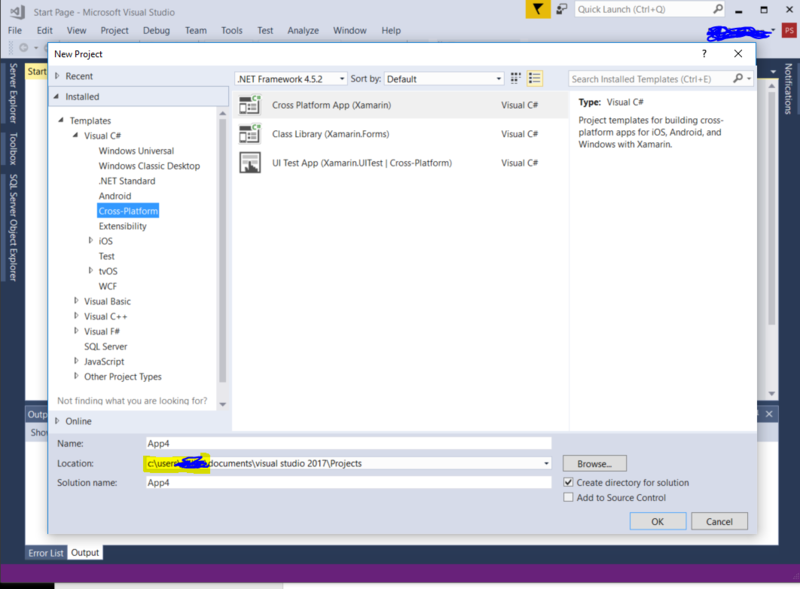 SDK’s and Libraries: Select Latest Versins for android and Windows SDK’s. Now login with Microsoft credentials if you have else create now. Now you can start developing Applications. Hope its useful for New developers. Thanks @Pilli I am certain that will be useful to people. useful article for us. It's a big a help. Go2top. 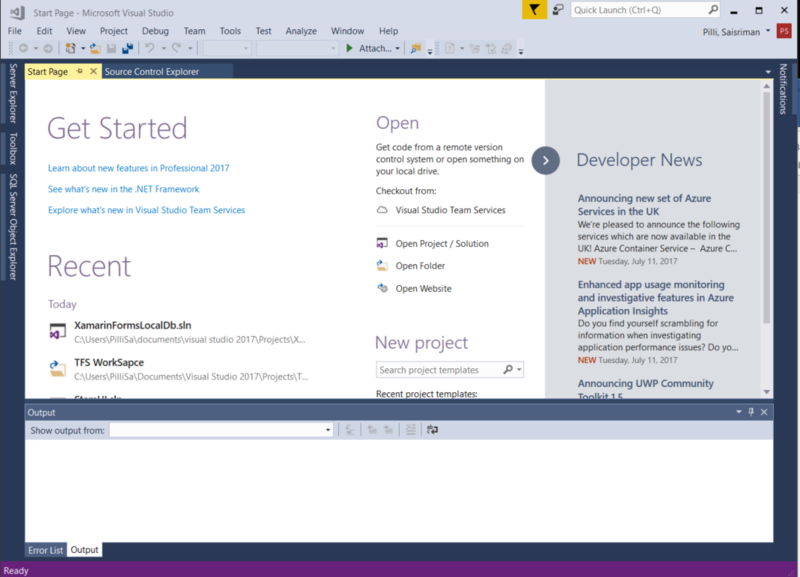 Does it have to be a specific flavor of Visual Studio 2017 - such as Community or Professional or Enterprise? Thanks in advance. And also any light on whether it could be Visual Studio 2019 Community edition (release candidate)? Thanks in advance. 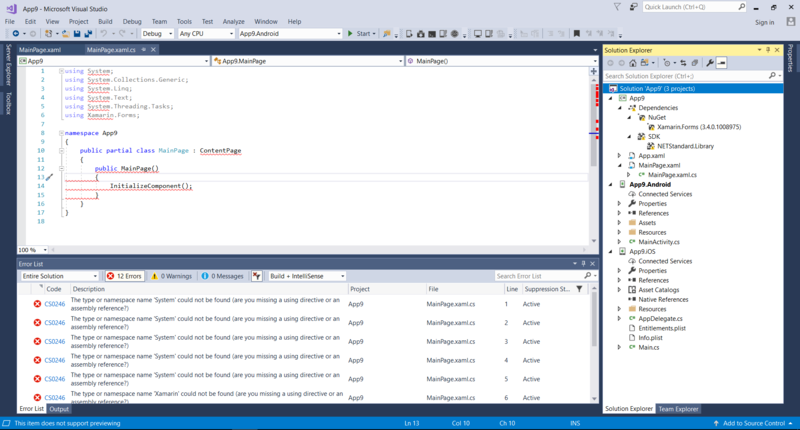 Namespace not found for system,Xamarin.Forms,ContentPage,Initialization() etc here. I have the same problem with visual studio 2017 community that aamez and more. I only create a new project xamarin.forms, and without made anything I obtain 217 errors. I installing VS2017 v15.9.10 on windows 10 1709 x64. Attached images with errors and installation options selected. .Net desktop development, Universal windows platform development, ASPNET and web development, Azure development, Mobile development with .NET, Visual Studio extension development and .NET Core cross-platform development; I try first without the 2 last options, only five first.